Email marketing is a tried-and-true way to get the word out about your brand. However, when you consider the large amounts of emails that the average user receives, combined with an increase in automatic sorting (when’s the last time you visited your “Promotions” folder in Gmail? ), it’s clear that businesses need to explore a new way to reach customers. Enter web-based push notifications. Email and Web Push Notifications: Apples and Oranges? Web push notifications are by no means the end-all channel for marketing success, but without them you’re missing out on a well-rounded marketing strategy. Marketers know that emails are the go-to channel when it comes to conveying big blocks of information, and virtually everyone uses it. When you’re looking to make an impact and a fresh impression, however, what you need is a web push notification. Web push notifications show up front and center with high visibility for your users, whereas emails end up ignored or weeded out into secondary folders. To leverage the benefits of both email and web push notifications, tapping into the best of both strategies for your multi-channel marketing strategy is advisable to any brand looking to promote themselves effectively. Let’s dive into the pros and cons of each marketing channel, so you can decide when to send out an email blast and when a web push notification would be better suited to your goals. Email remains one of the most popular online marketing channels, though some marketers perceive it as outdated. Emails are great when you want to send out evergreen content such as receipts, newsletter updates, event schedules, instructions, or other detailed messages that users may not need immediately but will likely want to be able to search for quickly at some point down the line. These are often less personalized messages that include lots of information and lots of, you guessed it, text. This means more editing and more time invested overall in creating the content. If you’re looking to use emails to capture the immediate attention of users, there’s a chance your message might miss the mark. Automated sorting methods such as Gmail’s “Social” and “Promotions” folders have made it less likely that business emails rise to the top in a user’s inbox. Still, modern mail automation and delivery tools help to make sure that emails are being received at the right time, while avoiding the spam folder. The emerging phenomenon of web push notifications is giving marketers an avenue to more effectively reach customers — right here, right now. A web push notification appears immediately to the user, across both mobile and web devices. While they can only convey a small amount of information, they are great for calls-to-action and letting visitors know about time-sensitive promotions. This limited space, by design, also forces you to get to the point (which can be as straightforward as linking to your brand). Push notifications have higher click-through rates than emails, so more of your users end up exactly where you want them. Since only one web push notification can be presented at a time, they are always fresh. Notifications are aimed at being relevant to the user in the moment — they’re not meant to be filed away for later like an email might. Assigning a Time to Live (TTL) to your notifications means they will disappear after a certain amount of time, whether or not the user views them. This helps to avoid presenting outdated offers or stale information. Because of their immediacy, timing is everything with a web push notification. With emails, you may send out a blast overnight expecting users to check their inboxes in the morning, but pushes should only be delivered when you intend them to be read. Sending out a 3am push notification may not be appreciated by someone who has left their phone sound on overnight! To account for this, push campaigns require a level of personalization and segmentation to ensure you’re reaching the right users at the right time. Fortunately, there are systems to help you find the best delivery time. Using a service that prepares a combined user profile is best, as it pulls together user engagement data, so you can target your email and push notification delivery effectively. Pushnami’s Machine Learning targeting improves your email and push performance by automatically adjusting content and delivery attributes to reflect the personalized preferences of users. In essence, web push notifications are meant for when you want to engage a user in the here-and-now. The visibility and time sensitive nature of push notifications reminds lapsed users of your brand and creates a valuable sense of urgency in potential customers. If you consider that effective marketing is all about capturing the attention of the public in the moment, then web push notifications are indeed a more valuable marketing channel than email. In reality, email marketing isn’t going away anytime soon. Still, marketers need to adjust the way that they utilize email marketing in order to maximize benefits from both emails and browser push notifications. Emails are no longer the go-to for urgent or time-sensitive messages — take advantage of their strengths conveying larger amounts of information and let the push notification marketing channel take its place as the most effective way to capture the immediate attention of users. Email marketing and web push notifications do not have to be completely independent systems. The rich data gathered from each platform can inform the other, resulting in more effective marketing strategies and data analysis overall. 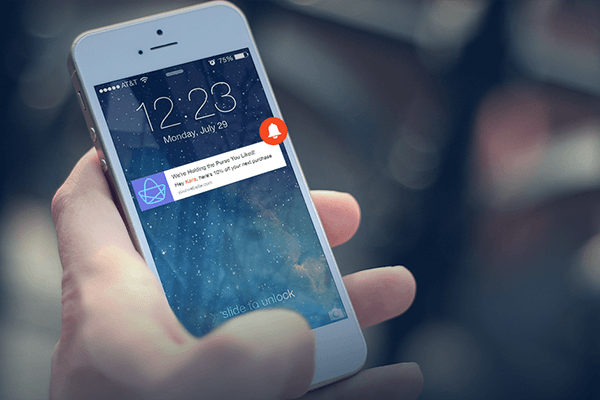 Pushnami’s Browser-Based Push Notifications seamlessly integrate with email data. The end result is a stronger digital footprint, across channels and devices, that will benefit your entire marketing strategy.